1. 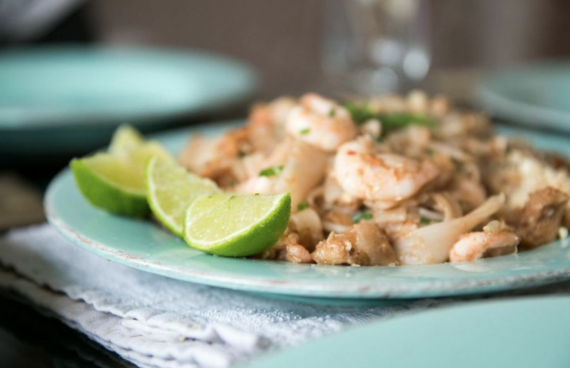 A Thai diet is rice-based rather than wheat-based, so is naturally good for gluten-free diets (you'll need to use gluten-free soy sauce and stock cubes though) and those looking to cut down on eating wheat. 2. Chillies make you happy ... your body reacts to the spiciness by releasing natural endorphins that just feel good. 3. You can eat what you want for breakfast! No more having to stick to so-called 'breakfast foods'. Have rice, have soup, have stir-fry, have fruit - whatever you like. 4. It's super-quick to cook - most dishes just minutes to make. Yes, you need to prepare the ingredients, but it's still pretty fast. 5. It cures hangovers! Try a super spicy pad krapow stir fry the morning after. Honestly, trust me, try it. Put a fried egg on top for extra protein if it's really bad. 6. It's a way of eating that ensures you get most nutritional value from your food - stir frying at a high temperature keeps the goodness in. 7. A Thai-style way of eating means delicious snacking too: a hard boiled egg dipped in soy sauce: some slices of pineapple with a salt, sugar and dried chilli-flake mix; sour green mango (or green apple) with chillies and fish sauce; chicken stir fried with garlic on little gem lettuce leaves. 8. These are salads you'll really want to eat :) No to limp lettuce and soggy tomato and yes to hot, sour, spicy salads with a kick - these meals in themselves are super tasty AND very rarely use oil or fats, just lime, fish sauce, sugar and chillies. 9. No specialist ingredients needed - if you can get hold of chillies, limes, sugar, soy sauce, fish sauce and rice you'll be able to cook a huge variety of dishes. 10. It boosts your metabolism - yup, those spicy, salty flavours - your body loves them and it moves a bit quicker for them. (Yeah, ok, I'm no twig, but then think of ALL THE RECIPE TESTING I have to do heehee). 11. So many ingredients in Thai cooking have amazing health properties - get them without even thinking when you're regularly eating chillies, garlic, ginger, lemongrass and more. 12. It's incredibly tasty! Thai cooking is all about balancing the four key flavours of salty (fish sauce), sour (limes), sweet (sugar) and spicy (chillies). It has BIG flavours. 13. It's easy to eat your five a day (or more) when you're eating predominantly fresh foods. 14. Chillies kill off colds. They kill off pathogens (ie viruses) - just eat a little more Thai-style and you'll be getting a dose. Try this stir-fried pork with chilli and garlic. 15. 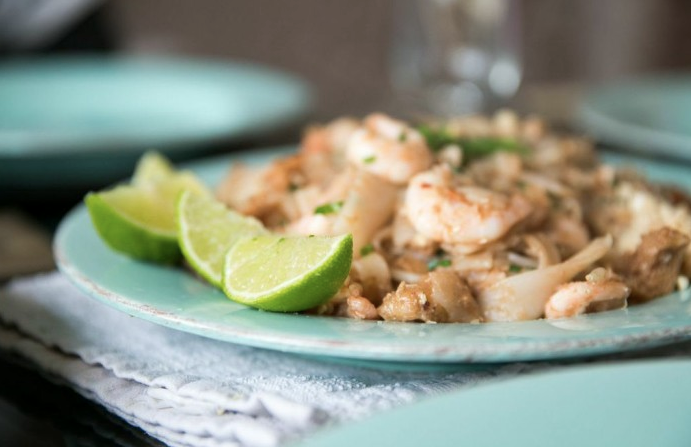 There are a couple of Thai dishes that I think are the ultimate comfort foods ... the softness of the rice, the sunshine of the flavours, the warm hug of it. Need comfort food? Try pad Thai or a fried rice (kao pad). 16. Under the weather with a cold or tummy pain or just feeling down? A kao tom - rice soup -will sort you out. 17. Thai food is happy and healthy food. It's fresh, fast, full of flavour and makes you happy. 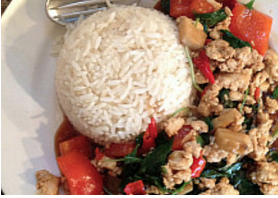 Try moving to a Thai-style way of eating for health and happiness.